Want to hear some of the music we produce? Two of our show reels are available to listen to on Soundcloud. 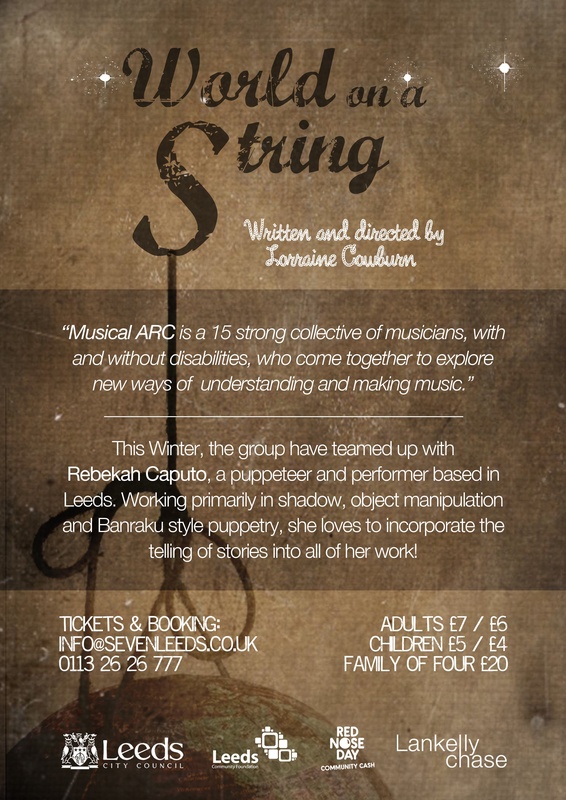 This show reel is a mix of music written for a story shadow show project called World On A String performed in Dec 2011. Atmospheric and moody tracks entitled “Forest”, “Raindrops”, “Magic and Serpent”. 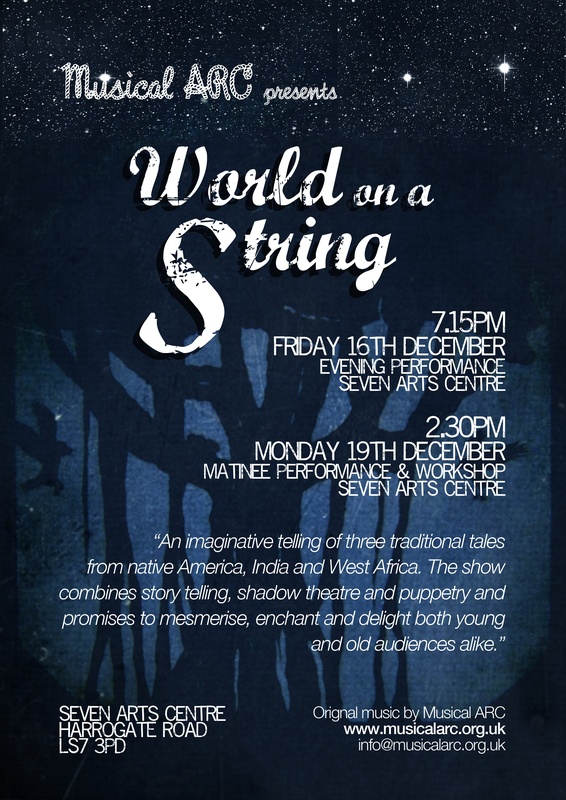 This show reel is a collection of music written to accompany a shadow theatre show we produced called World On A String performed in Dec 2011. The 3 featured tracks are entitled “Chase”, “Africa” and “Flying Home”. These show reels can be found on our Sounds page. 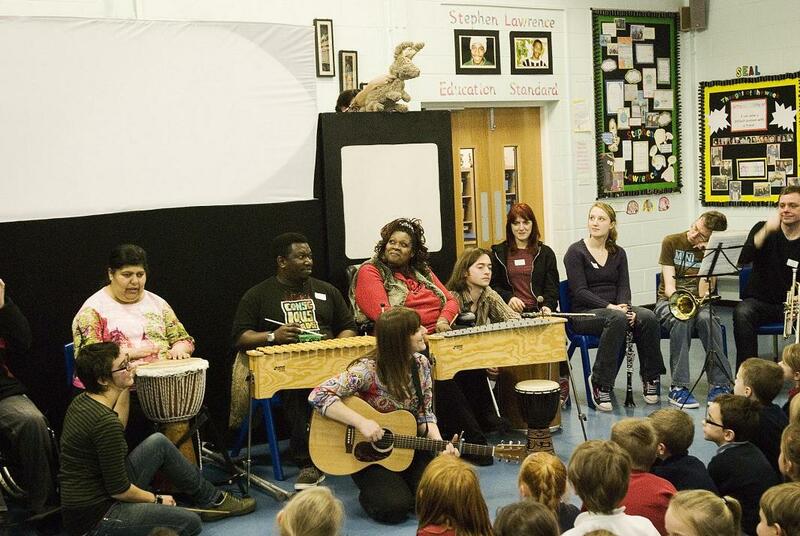 During December 2012, Musical ARC returned to Stanningley Primary School to perform ‘World on a String’ in its entirety for all the children and staff previously engaged in Musical ARC workshops. 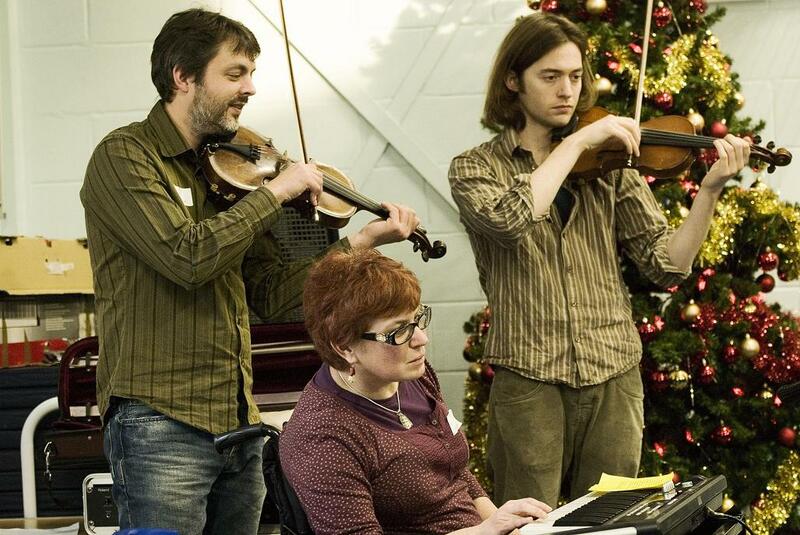 Using a new double screen technique, professional puppeteer Rebekah Caputo was able to tell the ‘Crows and the Serpent’ story on one screen whilst Musical ARC members took a turn as puppeteers, using specially designed head puppets to bring the story even more to life on the second large screen. 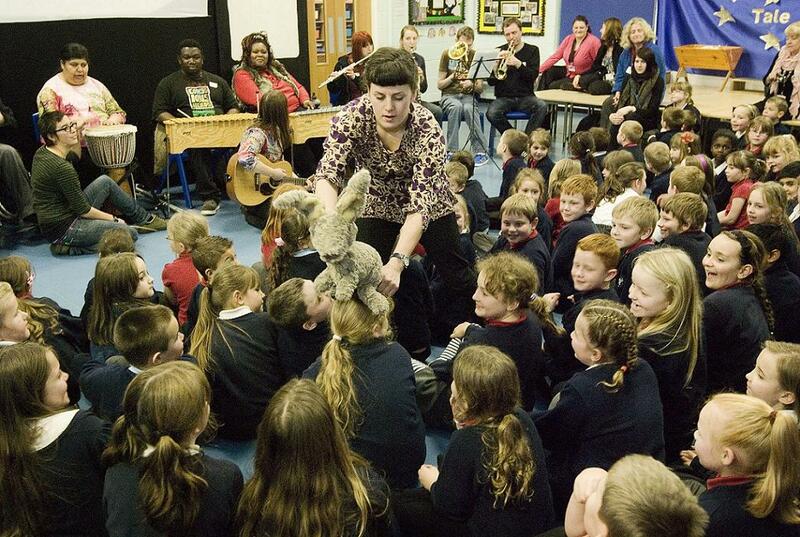 As the photos show, the rabbit puppet from the ‘Whale and the Elephant” story was a firm favourite amongst staff and children alike. As always Musical ARC composed and played the accompanying soundtrack and also played live before and after the performance. A fantastic end to the year for Musical ARC. 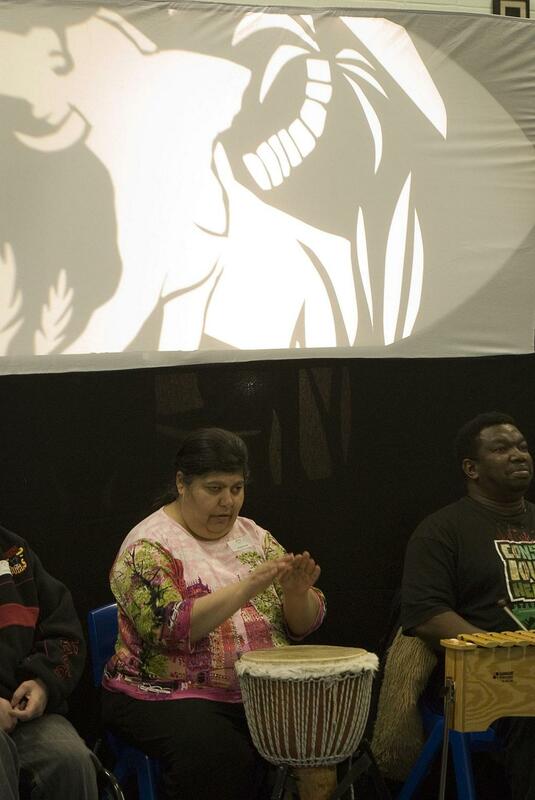 Shehnaaz drumming whilst the shadow of an elephant is cast behind her. We received some lovely endorsements from the children at the school about the performance that can be viewed on our Testimonials Page.